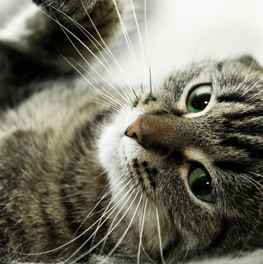 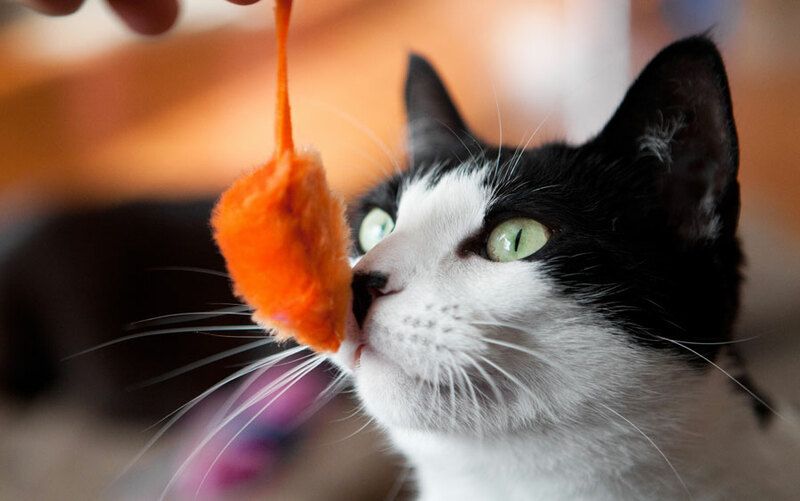 Is your cat feeling ‘grate’? 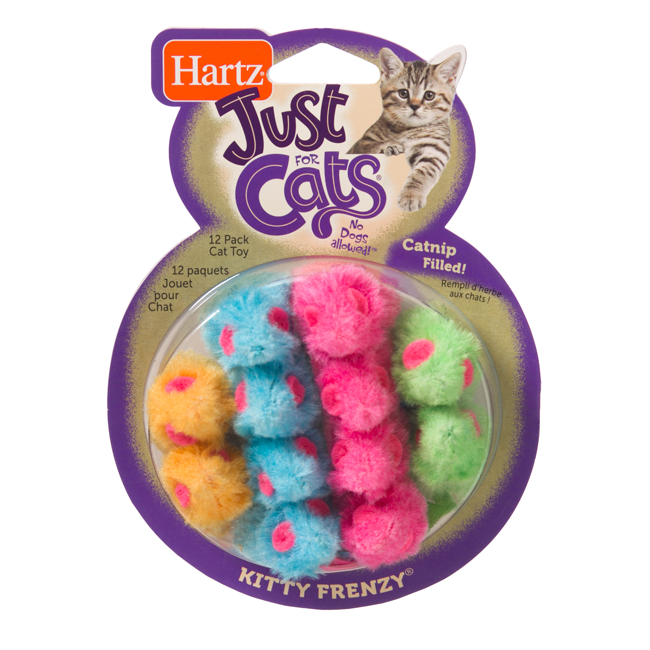 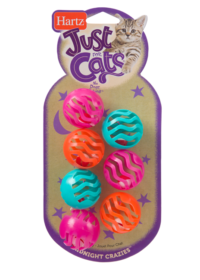 They’ll be even cheddar when you introduce Hartz Just for Cats Kitty Frenzy Mice to their toy stash. 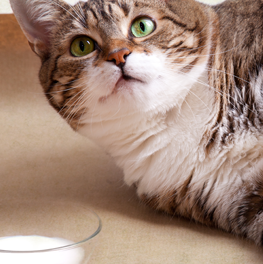 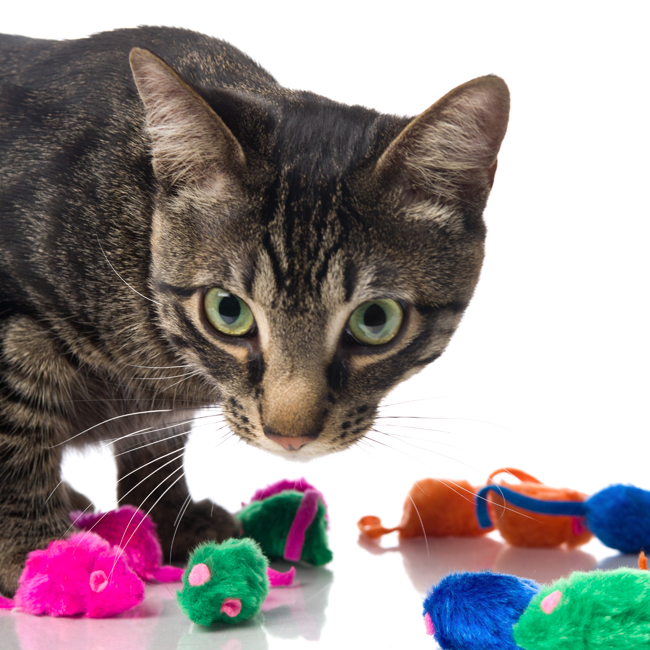 This furry 12 pack combines two things cats love most: mice and catnip. 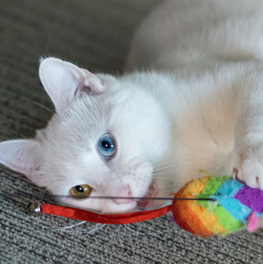 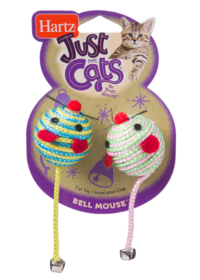 Each petite rodent is lightweight and perfect for your four-legged hunter to carry, toss, swat and bat, plus features bright colors, making them easy to find under furniture and in your cat’s most occupied hiding places.